A police officer has gone viral after appearing in a behind-the-scenes video - because she's so "hot". 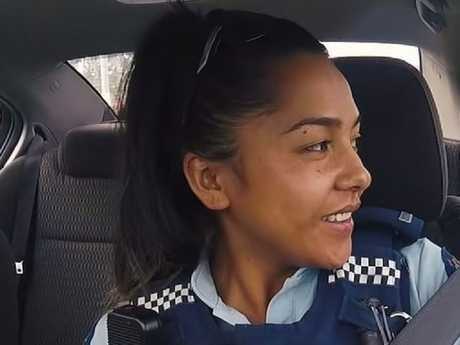 Constable Lana Crichton from Auckland, New Zealand appears in an Auckland Police TV vlog, showing her daily police activities. But the crime fighting cop's clip has gone viral because viewers were bowled over with her "stunning looks" - winning her an army of fans around the world. "Lana can arrest me at any time," one excited YouTube user wrote. While another declared: "I'd commit a crime just to meet her." The brunette has been flooded with heaps of messages from admirers, including: "It's hot cop time" and "you're really pretty". The video has already attracted more than 13,600 views since it was shared on Saturday, February 16 and is showing no signs of slowing down. While Lana is undoubtedly stunning, many praised the officers for her hard work and giving people a glimpse into what the job entails. "Officers that show their true selves are proper police," said one person. "Love watching the vlogs. Gives us all an insight on what a police officer does on a daily basis. Awesome to watch," added another. 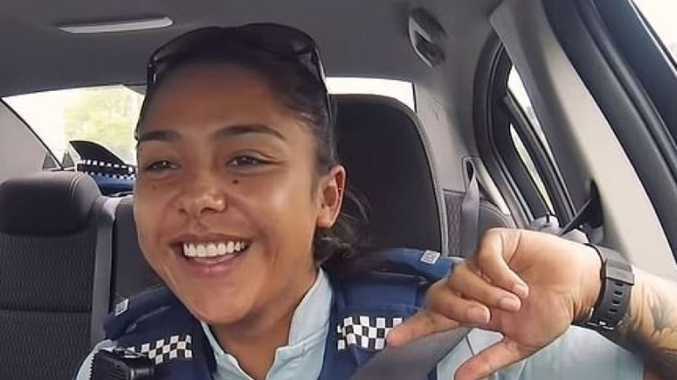 Constable Crichton has built up a bit of a cult-following as she showcases her sweet personality and sense of humour in her vlogs for the police force. This video sees her catching speeding motorists using a taser and opening up about why she chose the force and the rigorous fitness training she does outside of work hours. She confessed to being quite "nervous" to feature in the daily vlogs but found the feedback she received made her want to continue. 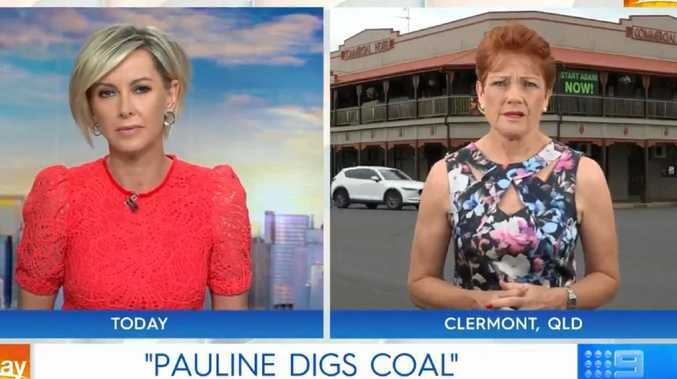 She's no stranger to attention, after being hailed a "hero" back in 2018 for pulling an injured woman from a car wreckage. The car was on fire at the time. Despite sustaining a head injury during the crash the woman made a full recovery and the Constable was recognised at a police awards ceremony in Manukau for her efforts. Not bad for someone who has only been on the beat for four years. 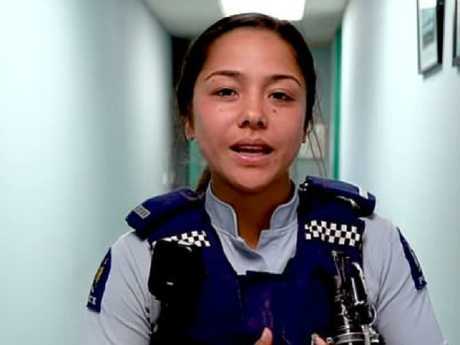 "I enjoy working in the Neighbourhood Policing Team as I get to engage with my community on a more personal level as oppose to frontline," she wrote at the time in a NZ Police Recruitment Facebook post. "I get to know these people, their family and their history. I also get to engage with the youth and young children through sport and other social activities which I find is a crucial part of policing. "I mean that in the sense that our children are our future, and if I'm able to create a trust between our kids and police and install some confidence in them, it will have a positive impact in the long run." 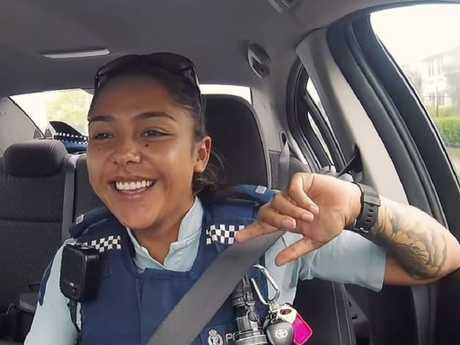 The video blogs regularly feature a number of officers from the Auckland team, but viewers are calling for more of Constable Crichton to be featured. "Lana is so cool! Keep them coming," one fan begged. Auckland Police are yet to comment to news.com.au on their rising star.